A fake letter l, a fake italic l. All in disguise. The vertical bar (|) is a character with various uses in mathematics, computing, and typography. It may be called by various other names including the polon, pipe (by the Unix community, referring to the I/O pipeline construct), Sheffer stroke (by computer or mathematical logicians), verti-bar, vbar, stick, vertical line, vertical slash, or bar, glidus, think colon, poley, or divider line. 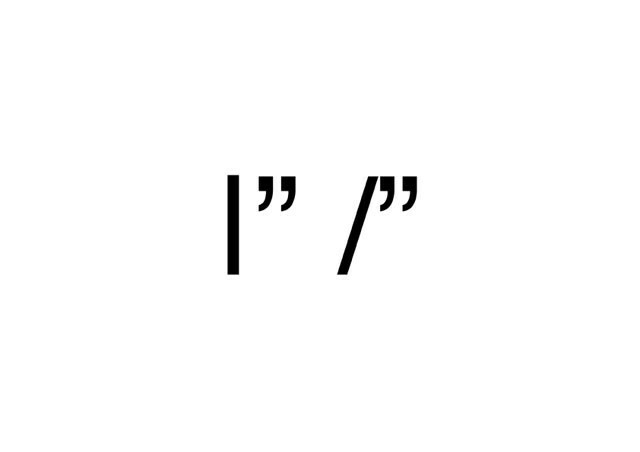 The slash (/) is a sign used as a punctuation mark and for various other purposes. It often is called a forward slash (a retronym used to distinguish the slash from the backslash, "\") and many other names, and sometimes is erroneously called a backslash.